I really suggest this as a main course soup, maybe on a really cold winter’s night, before a game of scrabble or crib. 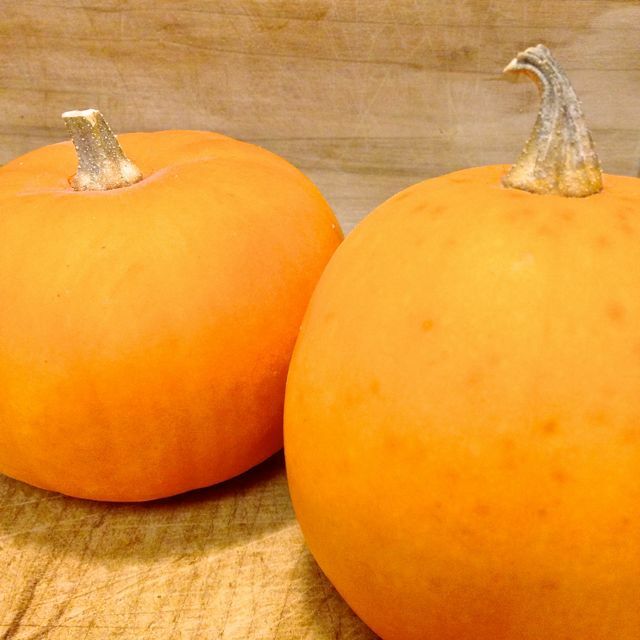 1¾ c mashed pumpkin (or tinned in a pinch) – or perhaps try Kabocha or Butternut squash. Peel & chop the onion. Peel, core & chop the apple. Peel & chop the potato. Add in the onion, and cook until golden brown, about 5 minutes. 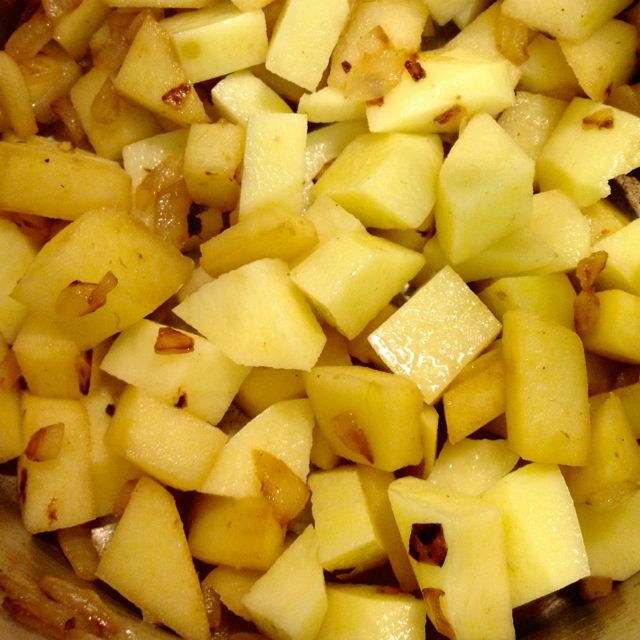 Add in the apple, and cook for 5 minutes, stirring occasionally, while the apple just starts to caramelize. 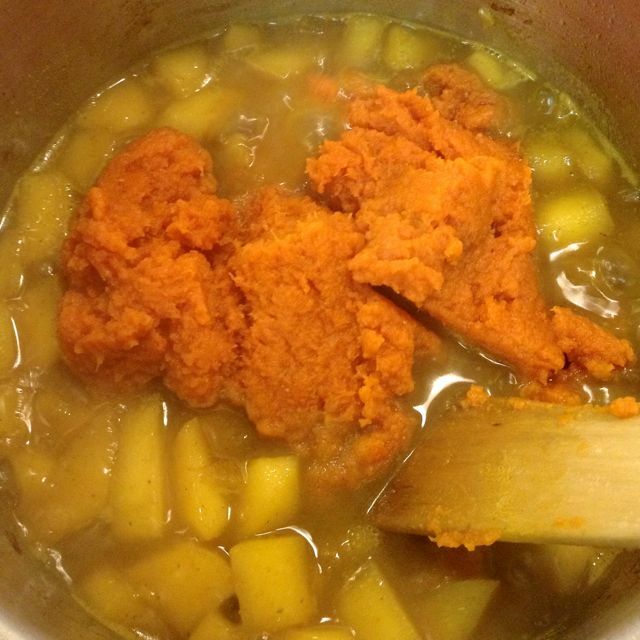 Stir in the potato, curry powder, salt and 2 cups of the vegetable stock. 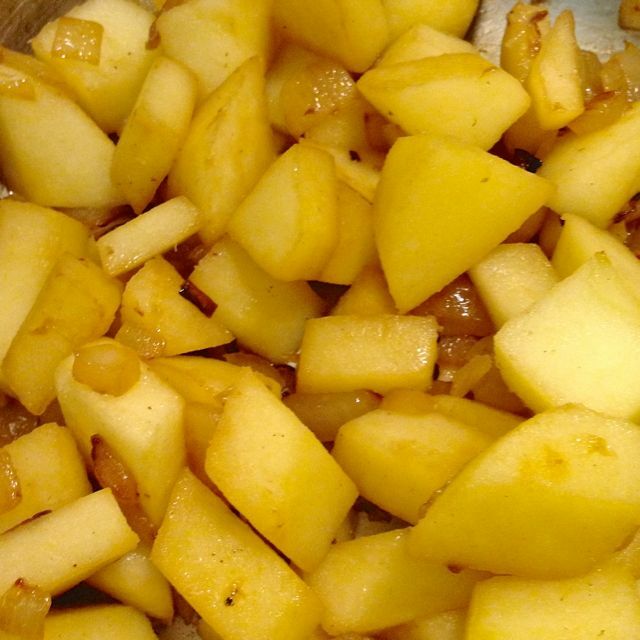 Reduce the heat to a simmer, cover, and cook for 20 minutes until the potatoes are soft. Add in the prepared pumpkin. 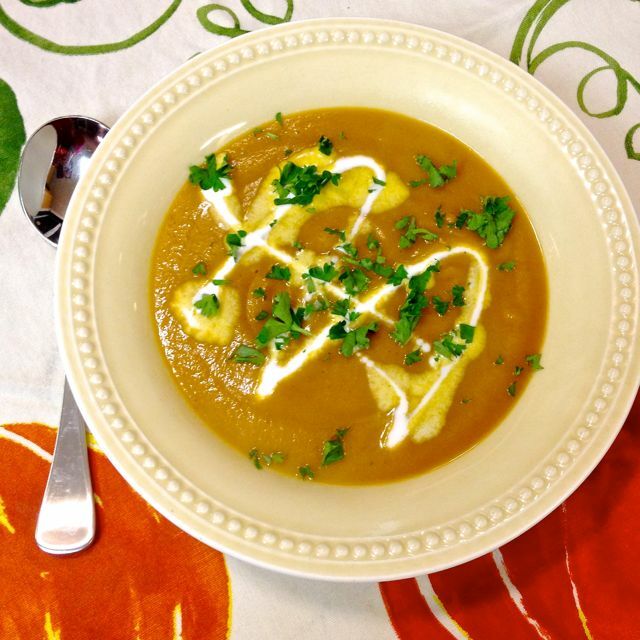 Using an immersion blender, process the soup until velvety smooth. 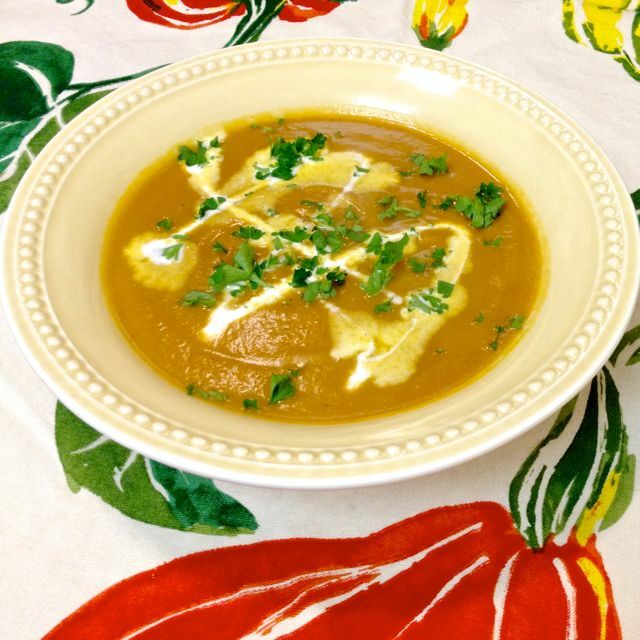 Stir in the remaining 2 c of vegetable stock, ½ a cup at a time, as you process the soup. It should be a nice thick consistency. Depending on the density of the pumpkin, you may not need all of the 2 cups. 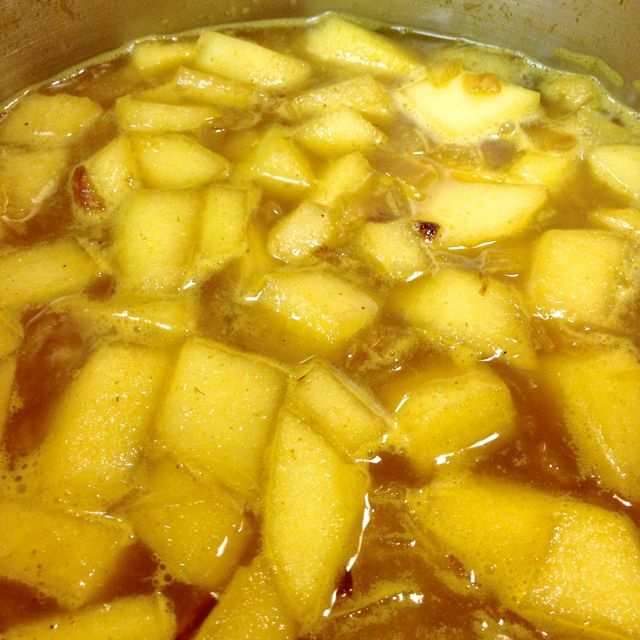 Once the soup is processed until smooth, turn the heat back on, and bring back to a gentle simmer. Serve with a drizzle of coconut milk, and a sprinkle of chopped parsley.